ANNIVERSARY: 50 Years ago a strike ended! But nobody knew about it. 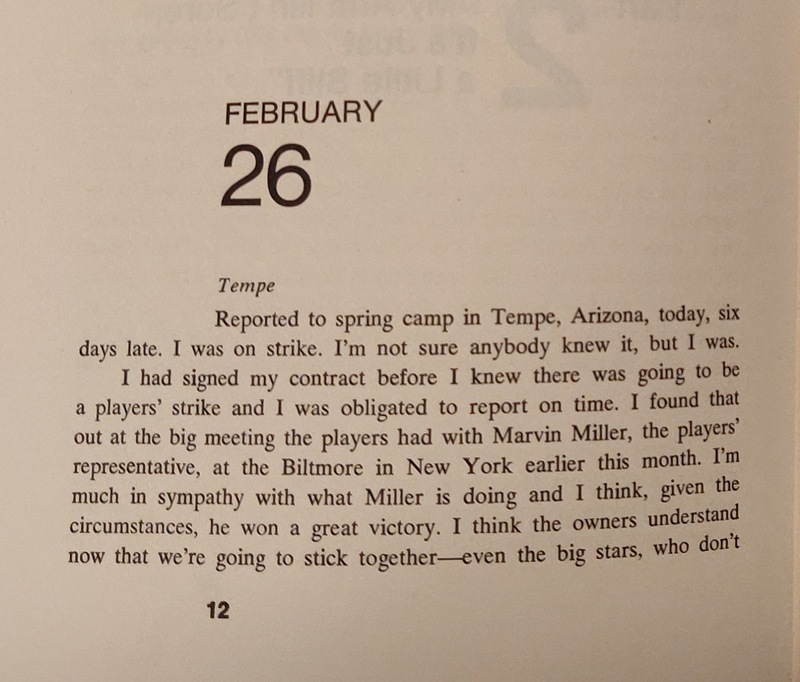 The only person on strike was Jim Bouton. This year marks the 50th anniversary of the season Bouton chronicled in his iconic book "Ball Four". There is a preamble from the previous November prior to the excerpt above, however, The day that Jim Bouton reported to spring training was February 26th. I bring this up now as a heads up to anyone who wishes to follow along with the 50th anniversary of the book - It is time to crack open "Ball Four" and start enjoying the inaugural and only season of the Seattle Pilots. I have covered Frank Robinson a few times on this blog but not nearly enough. While I never got to see him play, I did get to see an historic game in which he was involved. The April 2005 game was so historic that Topps honored it with a trading card - It was the first game in the history of the Nationals. 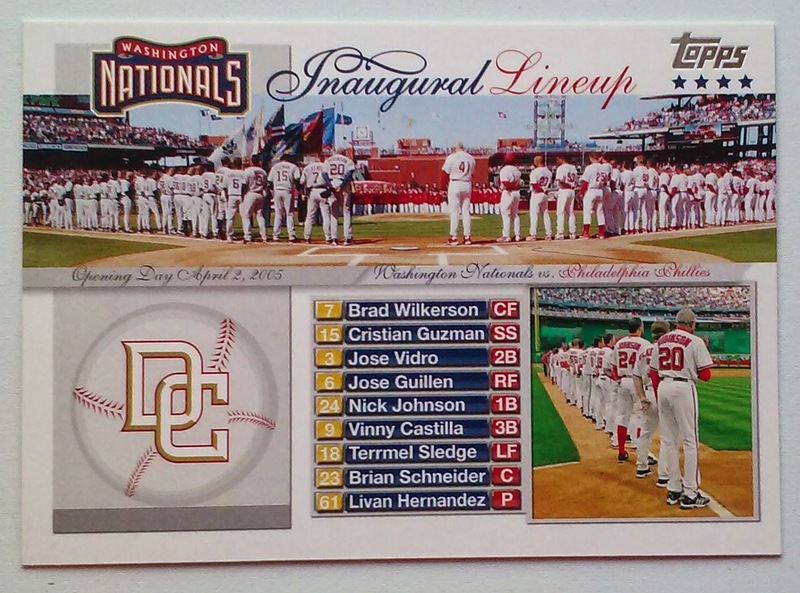 Robinson appears prominently on the card twice. First in the top photo he is at the center to the left of home plate, while the Phillies skipper Charlie Manuel guards the other. The inset photo on the bottom left features Frank Robinson even more prominently. The two images are clearly from different games - note that the smaller picture features the Nats in their Home uniforms at RFK. The Phillies won the game 8-4 you can read more about the game at the SABR Baseball Game project. I go into this card more in depth here, but at the time I didn't mention Frank Robinson. Fresh Air - Terry Gross Terrific interview (13 mins audio & text) includes Robinson's views on integration/segregation. If you do take in the SuperBowl or promotional programming today you may hear the name Radcliffe Bailey. No he is not a player or coach, he is an Atlanta based artists who has a marquee work in the Mercedes-Benz stadium which is hosting tonight's game. 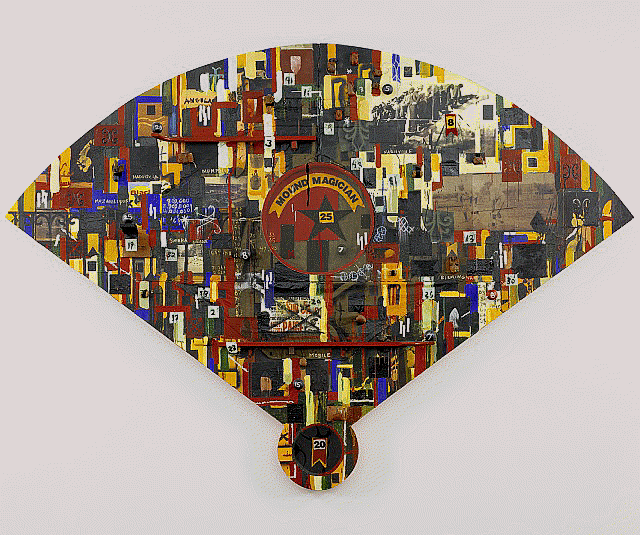 The canvas of the collage is shaped like a baseball field with a #25 in a star at the center which represents Satchel Paige. The number was worn by the future Hall of Famer while a member of the Kansas City Monarchs. Similarly Josh Gibson #20 his shown at home plate. There are a number of other baseball references throughout the picture included a black & white photo in the second base area. Radcliffe Bailey's work at Mercedes-Benz stadium is an 84 foot mixed-media behemoth which chronicles the journey of football at Atlanta Historically Black Colleges. 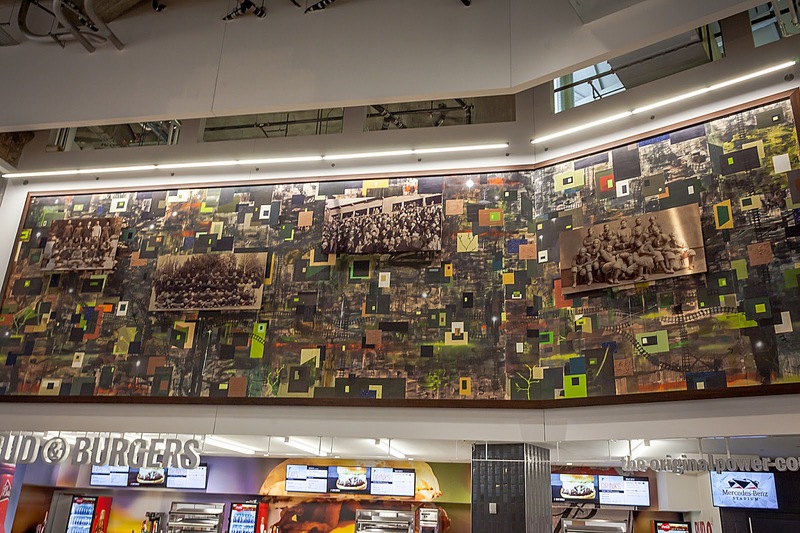 However that is just part of the artwork which also tells the much broader story of the black experience and African-American history.